Kerckhoff’s principle: All algorithms must be public; only the keys are secret. 1、在相同安全性级别下，ECC的public key的长度更短。For example, a 256-bit elliptic curve public key should provide comparable security to a 3072-bit RSA public key. (1) The receiver can verify the claimed identity of the sender. (2) The sender cannot later repudiate the contents of the message. (3) The receiver cannot possibly have concocted the message himself. 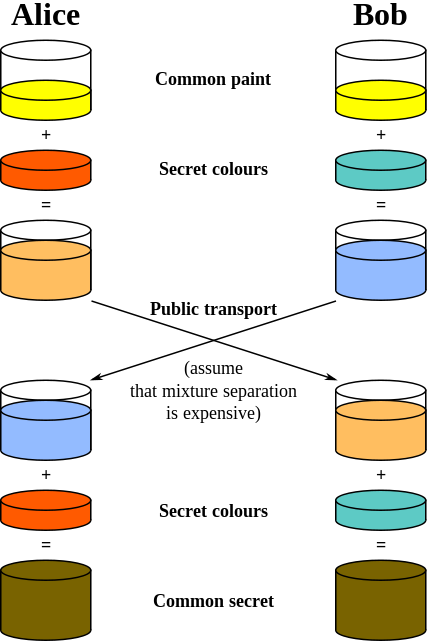 For protocol 2, forward security is provided through a Diffie-Hellman key agreement. This key agreement results in a shared session key. The rest of the session is encrypted using a symmetric cipher, currently 128-bit AES, Blowfish, 3DES, CAST128, Arcfour, 192-bit AES, or 256-bit AES.